“Christ the power of God and the wisdom of God. 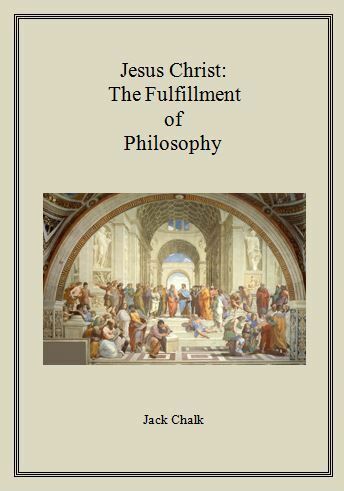 The thesis of this work is that philosophy took a turn after the time of Jesus Christ. The early Greek philosophers dealt with profound philosophical and metaphysical questions concerning reality and existence, the nature of ultimate reality, the good, and the essence of Logos. After Jesus Christ, philosophy turned into a second level academic discipline dealing with philosophy of history, education, language, mind, religion, and many other areas besides philosophy. My research will attempt to determine what caused the turn from philosophizing about metaphysics to examining peer disciplines in academia. Could Christ, the wisdom of God and the Logos, coming to earth have caused the turn? The arché (ἀρχή), the apeiron (τὸ ἄπειρον) of Anaximander, and the logos (λόγος) of Heraclitus will be examined as possible pointers to Christ. Jesus Christ came into the Greco-Roman world in which Western philosophy had its genesis. I will trace the roots of Greek philosophy from Greek mythology, which gave rise to the Greek religion and the cosmogony that the pre-Socratic philosophers questioned. The Greek philosophers came close to discovering the uncaused Cause of all things. Was it chance or divine guidance? This entry was posted in In Process on July 20, 2015 by Jack Chalk.